Platinum-selling and chart-topping country artist Chris Janson has announced his first ever headlining show in Los Angeles that will happen at The Novo By Microsoft in Downtown LA. The show is part of his new fall headlining Waitin’ On 5 Tour that will also stop in markets such as Kansas City, Sacramento and Ft. Worth. 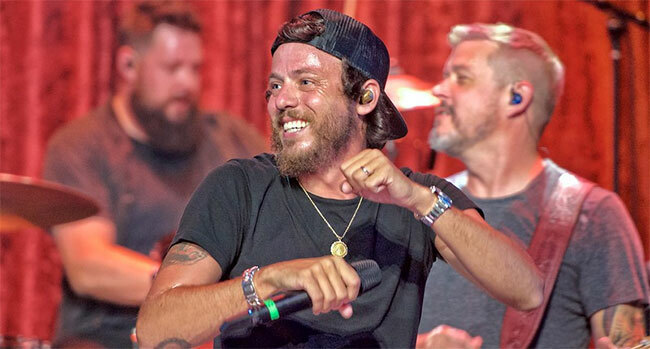 This tour punctuates an exciting year for Janson, which saw the rising star win MusicRow’s Song of the Year award for “Drunk Girl,” receive three Country Music Association Award nominations including New Artist of the Year, and become the youngest living member of the Grand Ole Opry. Janson is known as an electric live performer, combining his musical prowess on multiple instruments with a commanding stage presence. In case you missed our review at the Kern County Fair in Bakersfield last month, check it out to know why you need to catch Janson’s live show. Janson is also proud to announce that he has been asked, along with Luke Bryan, to co-chair National Hunting and Fishing Day 2019. Celebrated on the fourth Saturday in September each year, National Hunting and Fishing Day recognizes the important contributions that America’s hunters and anglers make to our society, our economy, and continued conservation successes nationwide. As an avid outdoorsman, this nomination feels right at home for Janson.